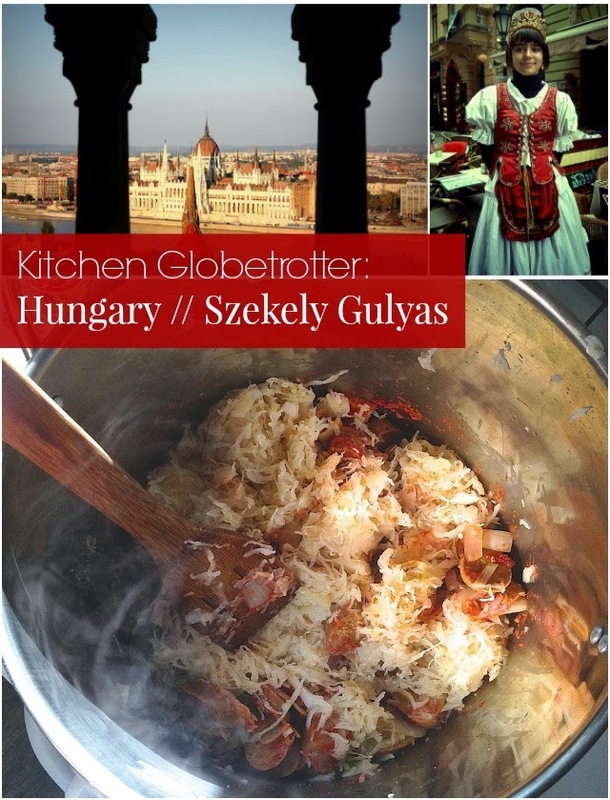 This is one of many Kitchen Globetrotter guest posts that come to us from Claire Suellentrop. She believes eating well + having a really good time need not be mutually exclusive, and helps creative people juggle both at Eat Well. Party Hard. Say hello on Instagram & Twitter! Though I’m of German—not Hungarian—heritage, I drifted back to my childhood of German Catholic church basement dinners on this stew’s sour, savory scent. It’s the smell of much-needed warmth in a chilly setting; of a welcoming, longstanding community; of something old and out of fashion and beloved by your most elderly relatives, but at its core, something you can still appreciate as good. A humble but hearty dish to dig into on cold winter nights, this low-maintenance meal for many (no, really, it makes a ton) is ideal lazy Sunday afternoon cooking; it’ll sit and simmer for a few hours, allowing you to attend to the rest of your to-do list. Or, you know, to catch up on your Netflix queue. No judgement here. Serve atop hot noodles, or—for a lighter option—hot spaghetti squash. Heat the oil in a large Dutch oven or stew pot over medium-high heat. Add the onions and saute about 5 minutes, until onions are softened and starting to brown around the edges. Add the pork/kielbasa and saute, stirring occasionally, until the meat has started to brown – you don’t need to go for the deep sear you’d want with other kind of stews. 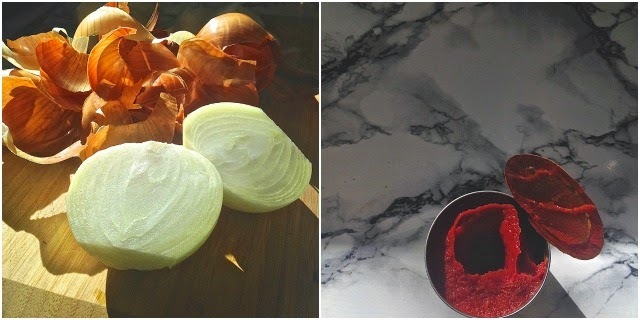 Add the paprika and tomato paste, stir to combine, and cook 2-3 minutes more. Now add water to come about halfway up the meat, bring to a simmer, cover the pot, and let the stew cook until the pork is tender, about 2 hours (NOTE: if using vegan kielbasa, this can be shortened to just 30 minutes). The exact time will depend on what kind of meat you used and what size you cut it, so check it after an hour and a half, but honestly, there’s really no way to overcook the meat. It will just get more and more tender. When the meat is tender, add the rinsed and drained sauerkraut, stir to combine, bring back to a simmer, cover again, and let cook another 45 minutes or so. Taste and add salt if you need it, plus lots of freshly ground black pepper. Turn off the heat and move the pot off the hot burner. Add the sour cream/Greek yogurt to the stew. It’s important to do this off the heat or the sour cream/yogurt will curdle; you want the sauce to be nice and smooth. Serve over hot buttered noodles. This dish is far better the second or third day; just make sure when you reheat it that you don’t let it boil, or, as stated earlier, the sour cream/yogurt will curdle. P.S. How things taste to a ‘Supertaster‘ and if you’re escaping to Mexico this winter: 6 dishes to try you might not have heard of. This looks ahhhhmazing! 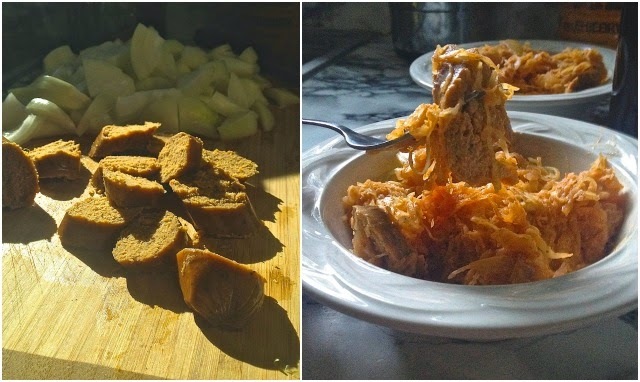 I am part Hungarian, and we certainly enjoyed tons of sauerkraut at my grandparents, but I haven't had this specific dish (that I can remember) and I can't wait to give it a try! Thanks so much for sharing.